Located on Railway Road, next to the Hastings Sports Centre, Apple Motor Inn in the New Zealand city of Hastings offers ideally situated accommodation for you and your family. Offering 100 MB free Wi-Fi per day, Omahu Motor Lodge features modern accommodation with free access to a nearby fitness centre. Most accommodation features a private spa bath. Located 400 metres from the town centre, Claremonte Motor Lodge offers rooms with free Wi-Fi and Cable TV. Attractions such as wineries, Te Mata Peal and the National Aquarium of New Zealand are a 25-minute drive away. 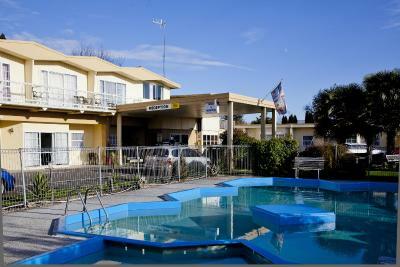 Portmans Motor Lodge features a heated outdoor swimming pool, guest laundry and Wi-Fi access. It is situated just 5 minutes’ walk from the cafes, restaurants and bars of Hastings city centre. Featuring an outdoor pool, a barbecue area with outdoor seating and on-site parking, Fairmont Motor Lodge is just 1.5 km from Hastings Railway Station. A kitchenette and flat-screen satellite TV are standard in all rooms. Situated on a quiet tree-lined street, Gloucester House Motel is located in the heart of the Hastings City Centre, just 20 minutes' drive from Napier Airport. 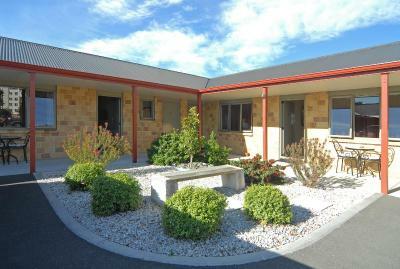 It offers a seasonal outdoor pool, a guest laundry and free parking on site. A 4-minute drive from the Splash Planet, The Magpie-Hawkesbay Motel offers free on-site parking and free unlimited WiFi access. Facilities include a seasonal outdoor pool and barbecue equipment. Clansman Motor Lodge is a boutique-style accommodation set in a beautiful and leafy private ground. It offers a licensed English-style bar, an outdoor pool, and a guest lounge.